In combination with our fixed frequency generators we offer a wide range of acoustic elements to meet all of your high power Sonicator / Homogenization needs. Using advanced digital generator technology we have set a new standard in high power liquid processing. The new generator design offers new capabilities in tracking shifts in the center operating frequency. Normal generators are unable to manage even minor shifts (30 Hz to 100 Hz) when probes become de-tuned due to cavitation wear. 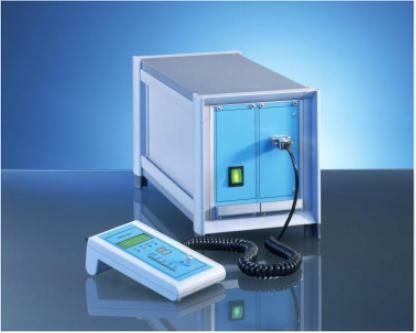 Our systems can track simple probes over a very large frequency range of ± 500 Hz, a 1,000 Hz window in some cases. That means extended probe life, more reliable operation, and less maintenance. Liquid Processing in static or flow cell chambers. Available in 20 kHz, 30 kHz, 35 kHz, 40 kHz, and custom frequencies on special order. Boosters in Standard Gain (0.4, 0.5, 0.6, 1.0, 1.25, 1.5, 1.75, 2.0, 2.5) or Custom ratios on special order.